Barr Quarton has been hand-crafting knives since 1974. In 1984 Barr’s “Freedom Dagger” won best of show at the New York Custom Knife Show. Barr is a self-taught artist and in 1985 won the Idaho Arts Council grant to study with a traditional Japanese sword smith. 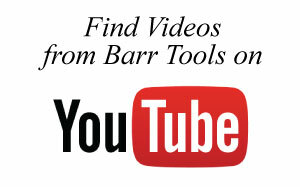 Barr offers a variety of fixed-blade hunting, combat and collectible knives in stainless, forged and Damascus steel. Collectors of Barr’s work include Scott Glenn and Sylvester Stallone. Contact us today to start designing your custom knife! All knives come with a hand-stiched leather scabbard.